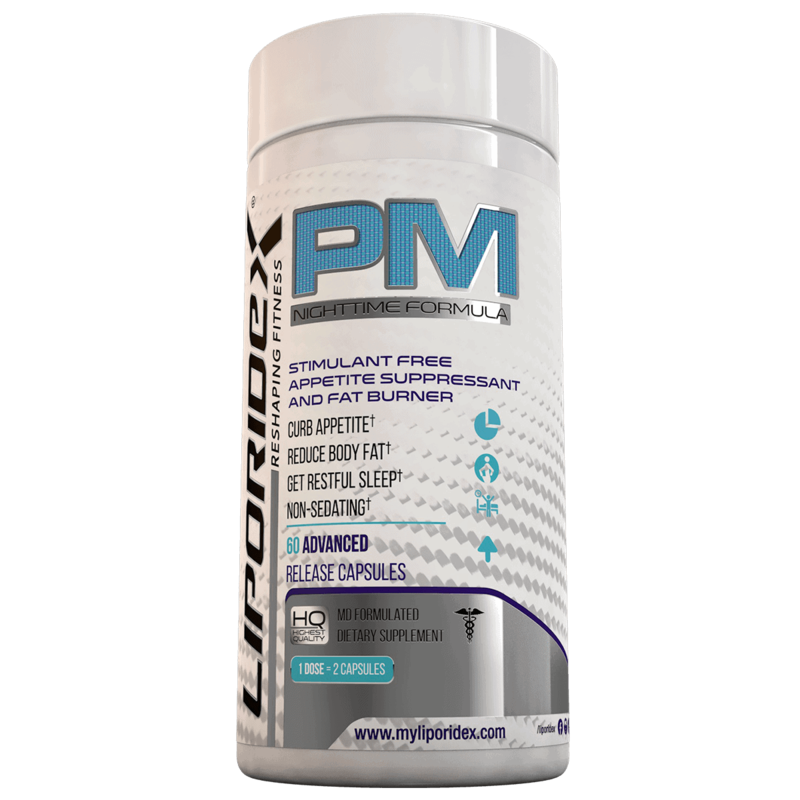 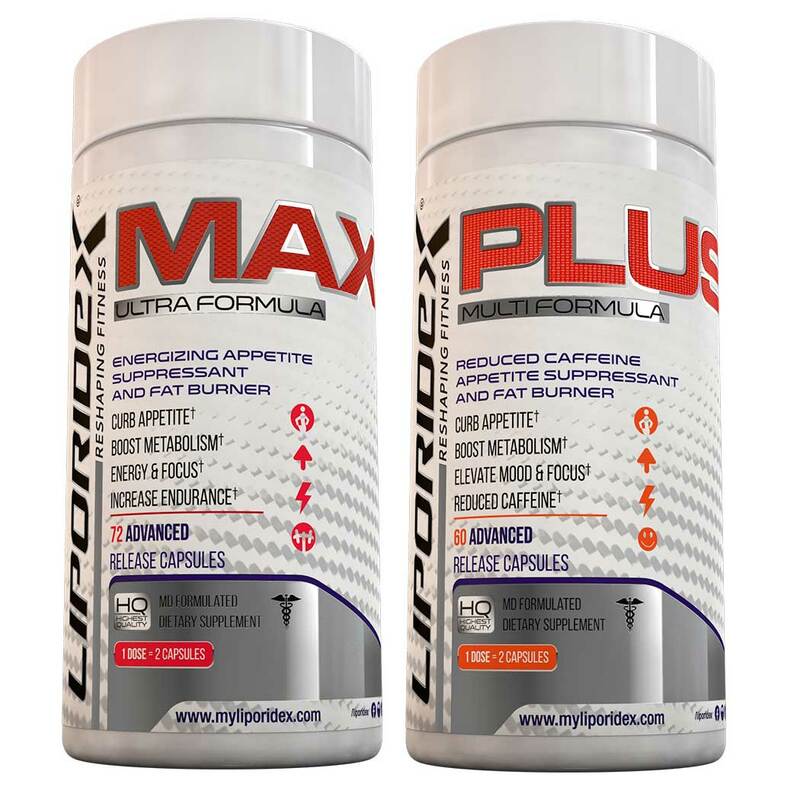 The MAX/PLUS Combo-Stack gives you the ultimate combination of daytime energy, appetite control and fat burning. 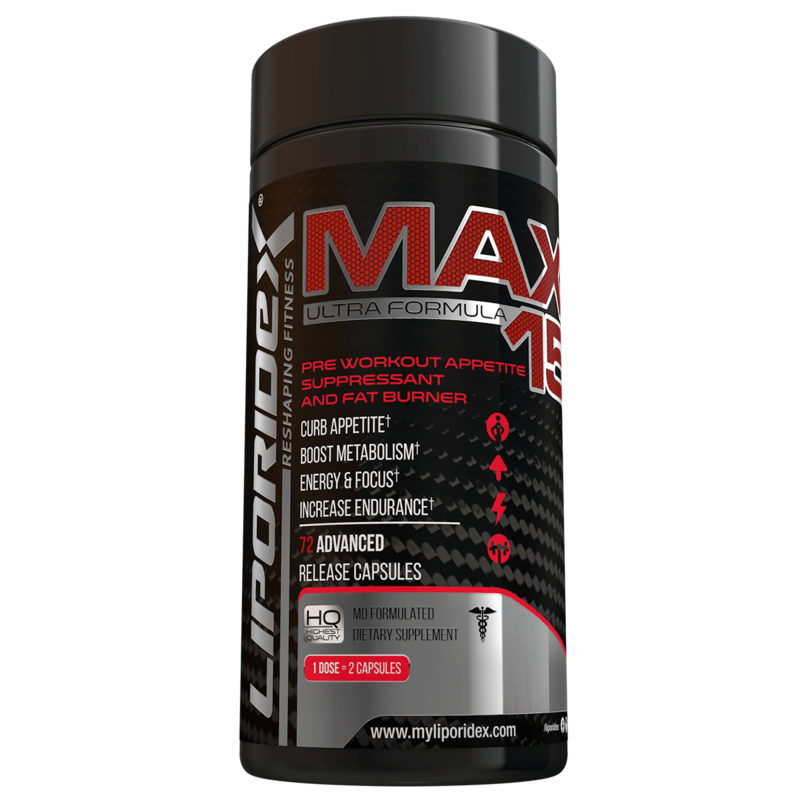 All natural ingredients in Liporidex MAX jump start your energy in the morning hours, while promoting increased metabolism and fat burning during the 1st half of your day. Liporidex PLUS employs powerful antioxidants and fat burning ingredients keep your fat burning engaged for the rest of the day, with a powerful appetite suppressant to keep you from giving into to afternoon cravings and other diet-sabotaging behaviors.